Want to balance your cash drawers faster? Everyone wants to be able to count cash faster than they can by hand, but maybe just haven’t been able to find a cost-effective solution. Believe it or not, there’s an easy to use solution that can help you balance a cash drawer in less than one minute! Being able to count the cash and coin faster translates to less handling of the cash between all employees, less mistakes, less downtime, less shrink, and just an easier cash processing system overall. 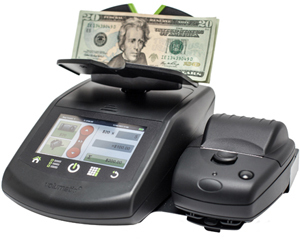 Talk to your Account Manager about how this cash and coin handling system may fit into your operation.